I’m trying to figuring out what to do. My site is not going as well as I hoped for, but my Youtube channel is going quite well, but it takes so much time to record, edit and upload videos, and also write the description text. I have a daytime work (luckily), and in the evening there is not much time left after family stuff. 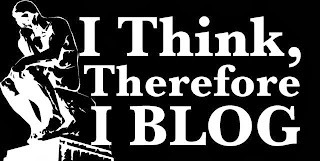 I thought it should be better and easier to blog instead of doing videos, and it is, but it is so hard to compete with other tech blogs, so my site is so tiny on the web, so anyone outside Google+ hardly notice it, so every time I don’t blog for a day or two, my blog practically “dies” with no views at all. And I thought that someone would help out blogging on my site too, but it seems that no one is interested doing that either, so it will be a “one mans blog again”. And maybe that is for the best anyway. It probably works best with my own thoughts only. Making vlogs in my car is so fun and I love doing it, but now it starts to be too dark here in Sweden to do them, it’s dark when I am driving to work, and it is dark when driving home again, so it almost impossible to do vlogs now. Fortunately it looks like my new Sony Xperia Z1 can record videos quite well in almost complete darkness so you at least see me vaguely, but how fun is that? Why read what I have to say when there are other bigger tech blogs? So I don’t know what to do really. I love creating content, and express myself with my thoughts about technology. So I will never stop doing that. But I wish it was easier. Especially ranking higher in Google Search, but it seems to be almost impossible. I guess if I have been blogging on the same site for years, I would probably had succeeded a bit better, but now it seems more or less impossible. I mean why should anyone want to read what I have to say, when they can read stuff at sites like The Verge, Engadget, TechCrunch and more? I hope I can distinguish myself from them by being more personal, more real if you know what I mean? Being myself. I guess I just have to keep doing what I do, and hope that someone reads or watch what I have to say, but I hope you understand that I sometimes loose the spark to create. Feeling a bit down. Sadly. But I love you guys, Especially the ones that follows me on Google+, you are the ones that keep me going. Thanks.